Back in my shovel knight review over a year ago I mentioned how there are a lot of retro-styled games being made today by indies, and that you’re going to run into some garbage and some true gems. I think Dragon Fantasy: The Volumes of Westeria is another one of the gems on the 3DS eShop. I was surprised how well the title screen alone looked with pixel art, so I knew immediately I was going to play a polished game. The graphics range from the decent to good overworld art to the great art that appears in battle scenes. There’s really nothing I can complain about the graphics other than some people might be tired of pixel art by now and not care for it. So if pixel art never wows you this game won’t. The 3D hits that “sweet spot” of inbetween too strong and too weak 3D effects; I never found a problem with the 3D. There are four “volumes” where you play as different characters through their different paths of the same world and through an overlapping story. You’ll run into the other characters in each person’s story, but you won’t know their personal ventures until you play their volume. There are a total of four volumes and each one is a treat to play, with the last one being a parody top-down view version of minecraft, they even use the word minecraft and mention how a guy named notch created the island you are on and it makes constant references to servers about logging on and off the world. The minecraft parody is really not much like minecraft but fits some elements into it like gathering resources, so it’s not really as much of a rip-off as it is a parody. 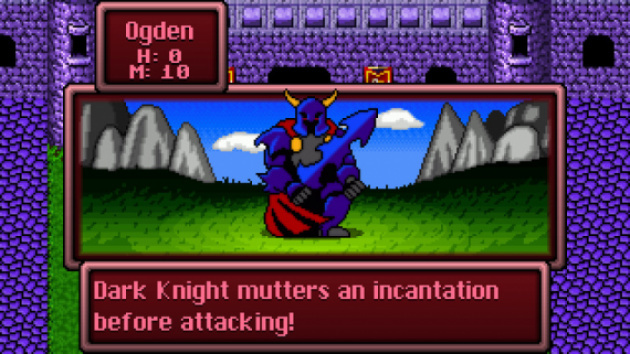 Dragon Fantasy has a feature I really enjoyed in it: comedy. There are plenty of moments when I got a laugh in the dialogue and its quirkiness makes it fun to talk to everyone you see and kept me playing through the game. The enemies also have humorous names and looks too. Not many games give me a continuous amount of laughs, but this one did. The music is pretty good too; maybe having the same battle music for every battle outside of bosses could get annoying for some people but I didn’t mind too much. While the music is good, I wouldn’t put it at the best features of the game as there is much more to the game than the music. 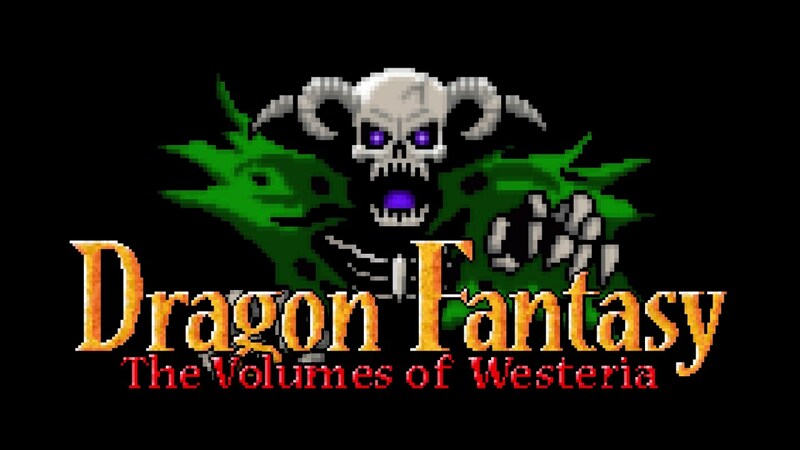 Here’s really my problem I had with Dragon Fantasy: It’s feels too short. The first volume is decent in length, but the other three you can beat in two or three hours each. I don’t remember how long it took me to beat all the volumes but I would say you could get 10-20 hours out of it. Dragon Fantasy had me craving more after beating the four volumes, which is rare for me. So for $9.99 you should really pick up this game off the 3DS eShop today. I'm going to download this gem tomorrow! How faithful are the retro-inspired graphics? Does it look like a real 8-bit game? @Pokefreak I don't think they stuck to vintage 8-bit in the graphics department but it's in the 8-bit style and looks really nice. Cool! I think Ima gonna download this! Thanks for the assistance @Gamergy! I appreciate your hard work. @Gamergy one of the images is broken in this review, could you please fix that? Thanks in advance. I wasn't expecting this to get a higher score than the Wii U version of the game! Thanks for the kind words on the review you guys!